"In spite of all their enmities, people have so very much in common; measured against eternity and the greatness of creation, the world in which they lived was narrow." Jennifer St Cartier gets her makeup done before taking the stage at Club Evolution, a popular gay club that caters to the Latin community in Jackson Heights. Jennifer was there that night to perform a tribute to her recently deceased friend, Jessenia Paparazzi. Queens, New York. A young boy runs up the stairs to Tiananmen square waving the flag of the People's Republic of China. Beijing, China. A couple embraces in Vernazza, Italy. A dance troupe from New Jersey gathers before a performance in front of the New Ebony Hotel on West 112th Street. Harlem, New York. Three boys watch a basketball game at a neighborhood court. Viñales, Cuba. Skateboarders get in a last few runs at Venice Beach Skate Park before the sun sets. Los Angeles, California. Pedestrians traverse the snowy streets of DUMBO during Blizzard Jonas. Brooklyn, New York. A young boy eats a snack near La Lagunilla market. Mexico City, Mexico. A father and son fish as the sun goes down in Edgartown. Martha's Vineyard, Massachusetts. A couple gets caught in the rain on Leavenworth Street in the Russian Hill section of San Francisco. San Francisco, California. A young girl rides the Hanil Express Ferry to Jeju Island. Jeju-do, South Korea. 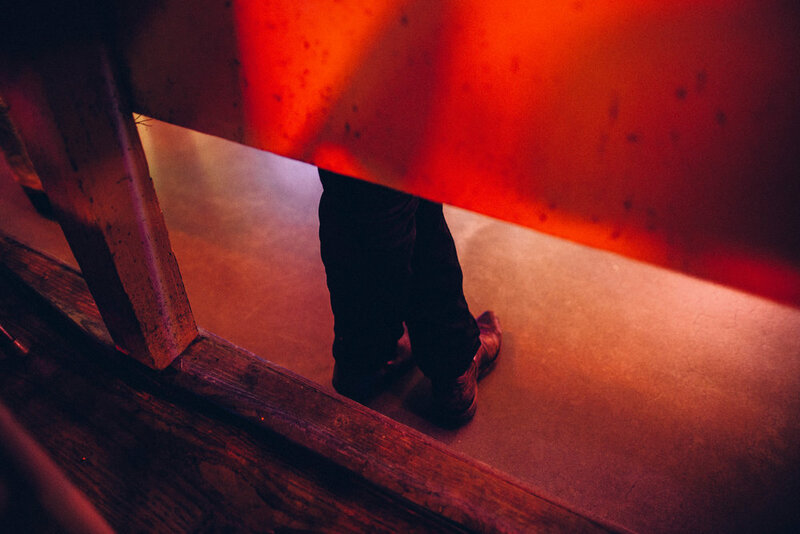 A man hesitates to join in on a line dance at Broken Spoke Dance Hall. Austin, Texas. 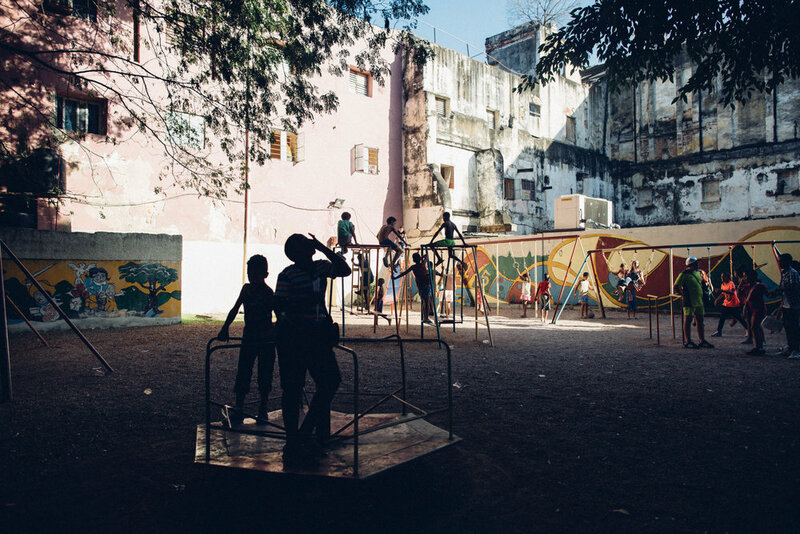 Kids play at playground on Calle San Rafael. Havana, Cuba. 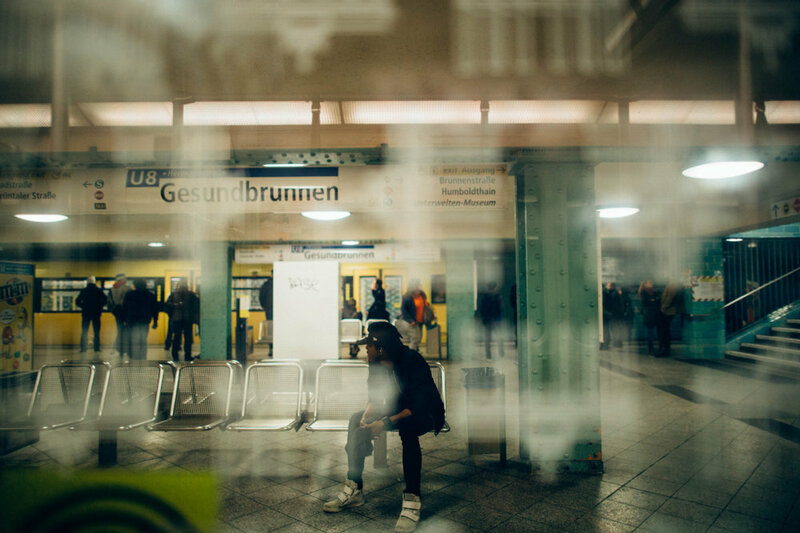 A German youth waits for the train at Gesundbrunnen station. Berlin, Germany. Tenement-style apartments as seen from the Manhattan Bridge. Two Bridges, New York. A daughter, a mother and a grandmother congregate outside their home in Trinidad as a young couple rides past on a bike. Trinidad, Cuba. Marching band bass drummer keeps the beat for his group as they head uptown on Malcom X Boulevard. Harlem, New York. 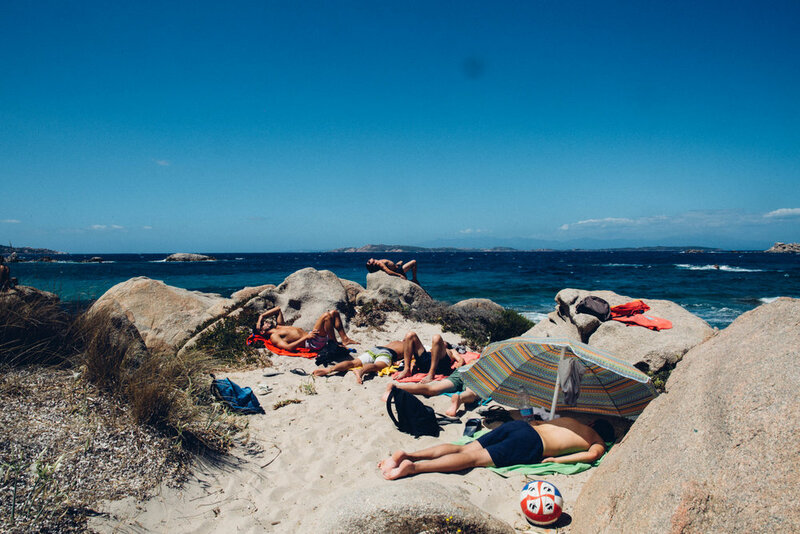 Beachgoers nap at Spiaggia Bassa Trinita in La Maddalena, Sardinia. A young man deep in thought amongst the colorful houses of Trinidad. Trinidad, Cuba. 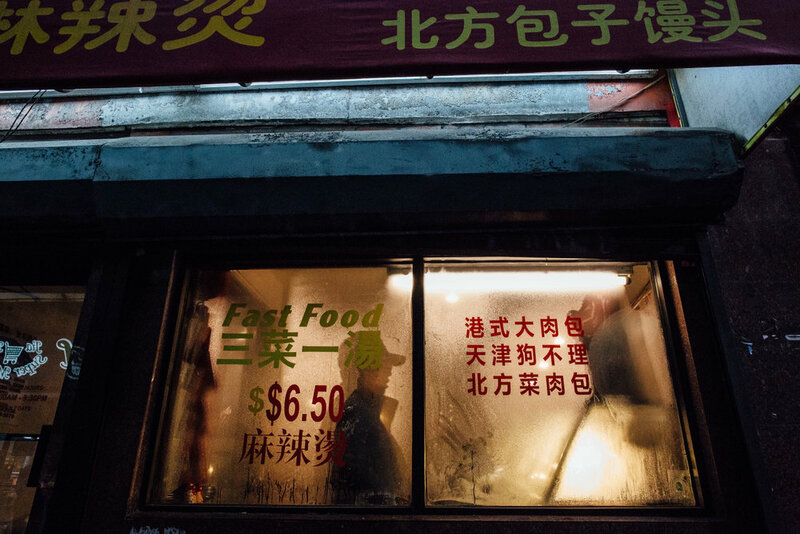 A patron orders at a shop in Chinatown. Boston, Massachusetts. 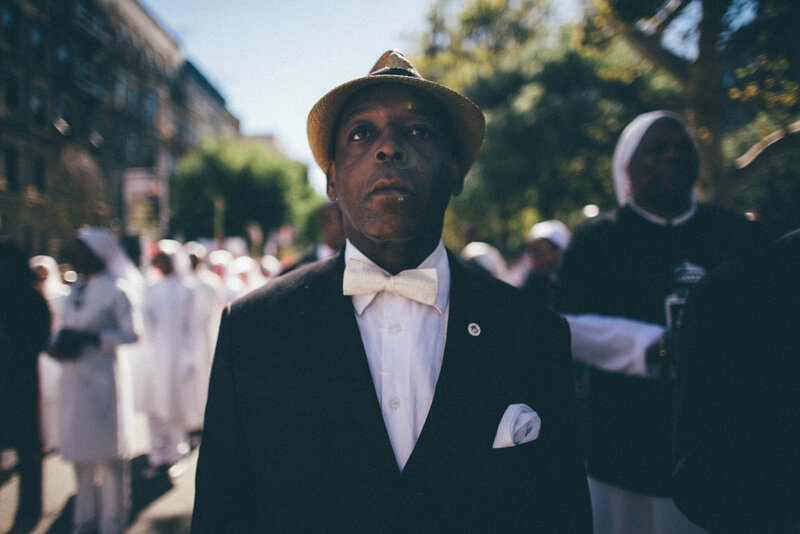 A man from the Nation of Islam prepares to march in the African-American Day Parade. Harlem, New York.